Conventional paints, stains, sealers and epoxies are some of the greatest sources of indoor chemicals - they are filled with VOCs, including formaldehyde, toluene and more1. Let's revisit some of the natural and effective finishes we have used for centuries as well as some of the new zero-VOC options. Linseed Oil and Tung Oil, the former usually cut with a Citrus Solvent, are the traditional natural finishing oils for wood. The strong headachy smell of scented oils comes from their naturally occurring terpenes and tannins, which are actually natural VOCs; for the chemically sensitive, these two strong scented oils will probably be intolerable (the smell does fade with time). Definitely buy small amounts of each here, and test for your own sensitivity if you are going to try these. Rubio Monocoat makes linseed finishes that are dearomatized and reportedly smell like honey. It contains a wax component as well. They claim zero-VOCs. You may still want to test that product before using it. The accelerator is not as well tolerated. Hemp Oil is a good alternative oil for wood finishing. It does have an aroma, which I would consider pleasant, but I would test for your own sensitivities (and allergies!) by buying a small amount first (they claim the only ingredient is hemp oil). Linseed, tung, refined hemp and walnut oil are drying oils (although some claim walnut is a semi-drying oil so I would not recommend it over the others - I have seen it turn floors rancid). The drying oils penetrate, harden and preserve wood and provide a long-lasting finish that does not turn rancid. Coconut oil if refined, is another option. Just don't use regular cooking coconut oil. I wouldn't recommend using olive or other (non-drying) oils that can go rancid on wood. Another oil to check out is Penofin Verde which is Brazilian rosewood oil based with "other natural oils combined with select vegetable ester solvents and zero VOC pigments". It has 1g/l VOC and contains some linseed. 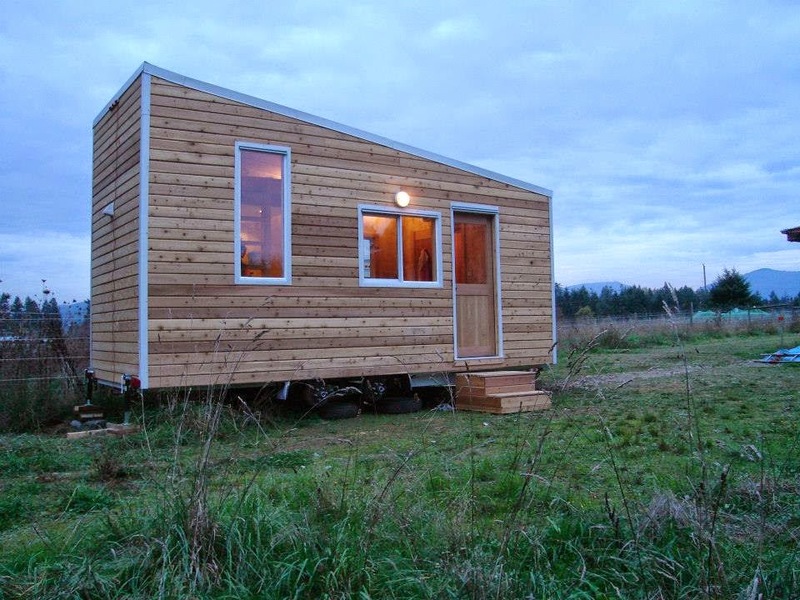 I used Hemp Oil on all the interior wood in my chemical-free tiny home. I am really happy with it. The ladder to the loft does get grimy, though the dirt does wipe off. Use refined hemp oil (made for floors) as opposed to the edible oil from the grocery store. Oils need to be reapplied every few years or more often in high traffic areas. Wood can then be finished with a beeswax polish for extra durability. I found that it was sticky for a while until it dried. I used beeswax on the window sills to provide a water-resistant finish and I'm really happy with it. This Beeswax/Carnauba Polish is great. 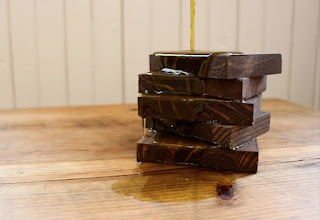 Here's a how-to on finishing wood with natural oil and wax. Wax needs to be re-applied every year. Each oil on its own will tint the wood to a varying degree, so you should test for the look you want to achieve - you might find that you don't need a stain at all. Non-toxic milk paint pigments can be used as a stain applied to the raw wood before finishing with oil and wax. Here is my how-to for these pigments as they are very tricky to work with! I used them on my floors, my bathroom cabinets and my two stairs. I was not very happy with these stains. Earth Pigments also makes natural stains. Be sure to test them first and follow the instructions on the type of wood and how dark you can go, and you will get better results than me. I would recommend either ECOS Paints stains or AFM Durotone. Both are water-based. There are other natural oil-based stains such as Rubio Monocoat and Penofin Verde that I would use and recommend as well. ECOS varnishes which I previously recommended has had some reported problems. A few people now reporting that water leaves very bad stains on the wood. This is a major problem that would cost a lot of money to fix. I used ECOS sealer on the wood in my kitchen and am very happy with it. I have not had these problems so I do not know what accounts for it, but for now I am suggesting caution with ECOs. Though other polyurethane finishes can also have this problem. AFM Polyureseal is liked by many. Though AFM does not work for all sensitive folks. Another zero-VOC polyurethane is Vermeister. There is a myriad of paints claiming to be green or zero-VOC but it's not easy to find out exactly what is in them, and some ingredients like biocides might not be listed. Benjamin Moore makes a number of zero-VOC paints, one of their oldest lines is called Natura. It is high-quality, and comes in great colours but contains a mildewcide (something you should avoid). It was intolerable for me while wet. Make sure they are using their zero-VOC pigments with it. Sherwin Williams Harmony - another easy to find zero-VOC paint with zero-VOC pigments also has a mildewcide. Sherwin Willians ProMar 200 is the most affordable zero-VOC paint I have seen (zero-VOC pigments). (Note: other hardware store brands may make a zero-VOC base but may not carry zero-VOC pigments). YOLO Colourhouse - very low-VOC base (can be considered 0-VOC), but the tints contain VOCs. Also contains a mildewcide. Hard to know which market this specialty paint is aimed at. Dunn Edwards - Spartazero is zero-VOC with zero-VOC pigments. Mythic Paint - The paints and primers are zero-VOC. This is now only available in the UK. They have sold the formula to a new company so I will update as this unfolds (I have not been able to track the sale of this formula but a commenter believes American Pride may be similar or thr same. I have not been able to verify that). ECOs is the new fan favourite but Much Smarter Paint claims to have ECOs matched. AFM Safecoat Zero-VOC Paint - Tintable to thousands of colors. It is zero-VOC with zero-VOC colorants. (Though the primer is low-VOC.) No mildewcides. ECOs - Their primer and paints are zero-VOC. They recently removed mildewcides from the formula (2017) however they have the ingredient 1-hydroxy-2-pyridinethione in there which is the precursor to one of the banned mildewcides. Envirosafe - zero-VOC, zero-VOC pigments. No biocides. Durasoy - zero- VOC acrylic and natural oil paint. No biocides. Romabio - The most popular mineral-based paints. Clients seem to really like them. BioShield - Becoming nore popular, Bioshield makes chalk and clay paints that people like. Milk Paint - I used Milk Paint in my chemical-free house to seal in the dust on the walls. On unfinished wood you need to add white glue to milk paint and I have not found a glue that I found 100% tolerable. Milk paint is also not great in a high moisture area like the bathroom because of the casein. (It could be prone to mould in a high moisture area). I would avoid it if I did things again. Green Planet Paints - (Natural Source, Clay-Based Paint) available online, and in specialty paint stores in Canada and the US. Auro Natural Paints - (Natural Source, Clay-Based Paint) available online, ships to US and Canada. Clay and milk paint are not appropriate for high moisture areas. Try AFM Safecoat Low VOC Transitional Primer or their New Wallboard Primer for new drywall (both low-VOC, but they seal in toxins). ECOs is another brand that makes primers including a new wallboard primer (no mildewcide). Sherwin Williams Promar 200 is a zero-VOC primer (no mildewcide). AFM makes MetalCoat Primer (zero-VOC), the Mythic Primer above can be used on metal (now out of business in North America but available in the UK). For small applications, you could try non-toxic DecoArt No-Prep Metal Paint. There are clay-based plasters and lime-based plasters. I prefer lime because it is naturally mould resistant. Plasters can be tinted with natural pigments. 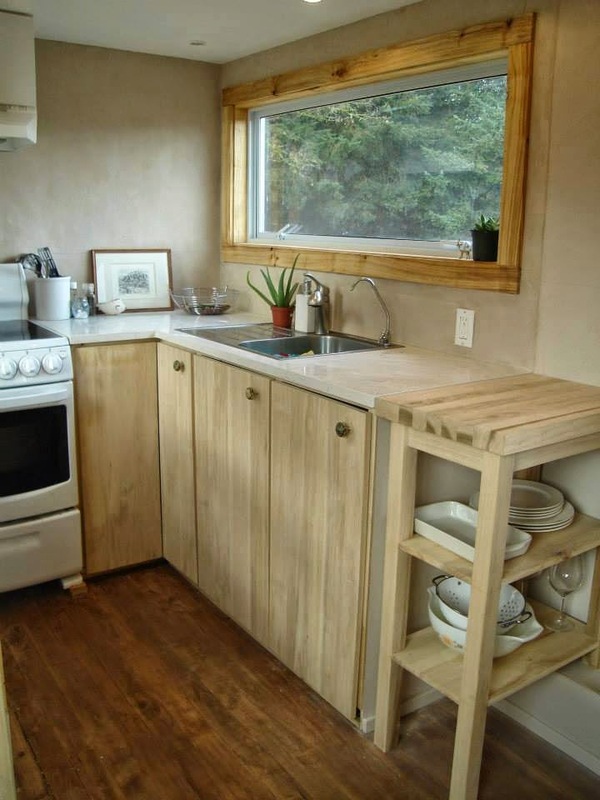 Here is a detailed post on my experiences using clay plaster and limewash in my tiny house. Plaster of Paris can be highly tolerable. The USG brand comes recommended by sensitive folks. To learn more, get yourself a copy of The Natural Plaster Book. If you don't have ox blood on hand, no problem, you can seal your earthen floor with any of the hardening oils we talked about under wood finishes (above). I would use Hemp Oil, though a final coat of linseed and possibly wax may be needed. This blogger claims that Walnut Oil went rancid with time. Beeswax can also be used in the final coat for extra protection if desired. If you are buying new wood-framed windows, the wood will likely have been treated with fungicides. and should be sealed with AFM Safecoat Safe Seal, AFM Safecoat Transitional Primer, or Zinsser Shellac. Safeseal is also used to seal in formaldehyde in wood products. You can also use a homemade shellac which is one of the best sealers to seal in odours and VOCs. For sealing in fragrance, smoke, terpenes or other VOCs please contact me for a consultation and we will find the best product for your application. To protect exterior wood against the elements, you could use something a little stronger (as the VOCs will not be within the building envelope) - oils like AFM Naturals Clear Penetrating Oil, Rubio Monocoat hybrid, and Penofin Verde. Clear sealers: zero-VOC Cedar-Seal, the same company makes another sealer for other woods. AFM has a new exterior clear sealer. There are very few exterior paints that are zero-VOC, ECOs has an exterior primer and paint, and AFM has an exterior paint. Sealers include: AFM Mexeseal (for marble, limestone, granite, sandstone, slate and concrete), ECOS stain for concrete, Lithofin (for stone and more), and my preference, for all-around best non-toxic sealer that is easy to track down online: AFM Safecoat Penetrating Water Stop (zero-VOC). I am using it on my bathroom tiles and have used it on the clay plaster in my kitchen. Milk Paint Soapstone Sealer for Soapstone. Kinloch is a 0 VOC sealer for granite, marble, concrete and some tiles. For sealing grout use AFM Safecoat Grout Sealer or AFM Safecoat Safe Seal. I used Murco as a joint compound and found it totally tolerable but it is not compatible with MgO board. It has cracked at the joints which is something other builders have noted as well. This compound is compatible with MgO. For regular drywall, drywall mud (spackle) that are zero-VOC are USG SHEETROCK Brand Lightweight Setting-Type Joint Compounds – EASY SAND 20, as well as 30, 45, 90, 210, 300. Proform drywall mud is extremely low VOC (considered "zero"). There are so many 0 or extremely low VOC drywall muds available at regular outlets. The powder form is lower in VOCs than the pre-mixed. Even pre-mixed can be found in extremely low-VOC formulations. Disclosure: Some of the links to products on this page go through my affiliate partners and some do not. Whether a product has an affiliate program or not does not influence my choice of recommendations. If you are going to purchase any of the items listed here and if you found my site’s content useful, please consider purchasing through my links - it will not cost you any more. As an Amazon Associate I earn from qualifying purchases through the Amazon links. 1 biocides, ammonia, crystalline silica, ethylene glycol, phthalates, isocyanate, mineral spirits, benzene, propane sulfone, petroleum distillates, nitrobenzene, ammonia, naphtha, and phenol. Sources: North Carolina Cooperative ExtensionService, Grassroots Info, & Cleveland Clinic. Have you tried coconut oil for a wood finish? And then doing a beeswax oil finish by handrubbing the final coat of beeswax. BioWorx.us is new to the "green" cleaning industry. None of their products contain VOC's (including the glass cleaner and fragrances)or other harsh chemicals. Plus they show on their web site lab studies how BioWorx compares to other cleaning products in soap scum and scale removal. They do quite well in each key cleaning category. I am really enjoying your blog. My son and I both have MCS, and it is a challenge to find safe materials to renovate with. We are in the process of choosing flooring for our kitchen. We're considering solid wood, prefinished flooring--but are a little concerned about offgassing from the finishes. We're also considering on-site finishing, but I'm concerned about that too! Do high quality prefinished solid wood floors offgas much? what are they finished with? you will have to test them. polyurathane i have found can offgass quickly as long as it's not in the same building as you when curing. tiles would be preferable in the kitchen I think, or polished concrete. They also make a ceramic tile thst looks like also make a ceramic tile that looks like hand scraped wood! It's beautiful and really cheap.$ 1.99 sqft through Home Depot...I'm using it throughout my house. Or you could try magnesium board with beeswax, carnauba wax and linseed to seal. Just had to sand low VOC poly off an entire house full of floor because of sensitive lungs. Does anyone know if raw linseed oil is harmless to lungs ?, just finished re sealing floor with the beeswax , carnauba linseed mix a few days ago and after a few minutes in the house my nose feels stingy. I describe the issues with linseed in the first paragraph. it does take a pretty long time. depends on your level of sensitivity to it. Your link for "Ecos" Sealer is not working. When redirected it says "Page not Found". Can you please help me find a safe indoor wood sealer. I'm having such a hard time. Is there a recommended application for unfinished steel? I have used bees wax and oil. I'm looking for a commercial product....does anything exist? It worked well for me. I am putting up a warning now about ECOs. It worked well for me but one other person has said the same thing and the indicates a big problem. How do you recommend putting homemade oil / beeswax finish down on your floors? We are putting in hardwoods and wondering if we need to apply on our hands and knees with a rag or is there is another method. Thanks so much! We came across your blog after we thought about making our own floor finish since the commercial brands weren't non toxic enough for us. We are happy to find that other people have find it too! How has it been holding up? Hi, yes it is usually buffed in with a cloth. I used hemp oil on my floors and hemp/beeswax on the window sill. It's holding up well. The beeswax I used also contains carnauba. Have tried a lot of paints that claim to be low voc and have not been happy. I am going with Roma paints which are beautiful mineral paints and truly no voc. for anyone who is mvs, I recommend you review their site. In my home there is some painting there but painter told me they will use penetrating sealing before colour. what is the surface and what is the sealer? Hi there! I have had a bunch of drywall done in my house. Everyone I speak to says "oh the drywall isn't an issue for VOC's" but I know they're wrong. I am in Canada, and am looking at a product that is Greenguard certified, less than 45 g/l VOC and is a Drywall sealant/primer. Do you think this is OK for sealing in VOC's from drywall before I paint? I just can't find ANYTHING in Canada that is labelled for "sealing" drywall so it's all just primer/sealer, or just primer. Any advice would be so appreciated! Thank you so much! Depends on the drywall. Which kind did you use? 45g/l is not that low. But there is no drywall sealer that is zero VOC. Just primer will seal some VOCs though. What about Ecos passivating primer? It has a mildewcide and I have heard it doesn't seal in odours well. Darn. We don't know..we have contractors coming in and doing it for us with the machines to clean the air and such. To be honest, I didn't realize there were different kinds of drywall...so that is my bad with everything going on in the house. 45 is the lowest I could find! It was that or "<200 g/l" for drywall sealant/primer. Or a no VOC primer/sealer but it doesn't say specifically for drywall, so maybe that would be the best since it's no voc and it at least says sealer? Which one is the zero VOC sealer? It does need to be drywall primer. It is from Dulux paints, it's called Lifemaster Primer/Sealer. Okay good to know it has to be specifically for drywall. Is 45 g/l awful if that's the only one I can find? Also I just looked at different types of drywall (yay google..) and I believe it was just square edge standard drywall, in ceiling and walls, with putty over top. That is for drywall and it is zero-VOC. However the sealer label means it seals new drywall and is no more a VOC sealer than any other primer. As for drywall VOC levels, it depends on the brand. You can try and look it up by what brand you bought and then compare that to the 45g/l. Okay so you mean that a "sealer" doesn't seal VOC's any more than a primer would seal in VOC's. So basically I want to find a super low VOC New Drywall Primer, and hope it helps.. I'm sorry, I don't quite understand what you mean by comparing the drywall brand to the 45g/l drywall primer! I would see the VOC level of the drywall if you can find it and see if it's worth adding 45g/l in order to reduce the drywall offgassing. Okay makes sense for the primer vs sealer. If i was in the states I would get either the ECOS or Afm safe coat and this would be easier. Okay great, will do! If I can find it, and it is low, would I be best to just use a zero VOC primer like the Lifemaster (i believe that was a drywall one), to reduce any VOC's leeching out? Also thank you SO MUCH for all of your help, I apologize for being such a newbie. ECOS also told me that at first but when I got ahold of the ingredient lists there was a mildewcide in there. When I emailed about this they confirmed. They use it as a preservative in the paint. What would you use as the most non-toxic option to fill gaps around piping to prevent roaches from nesting in the walls. I can't use a plate, because my vanity is already set in place. I was considering using a simple non-toxic air drying clay, as an alternative to spray foam, putty, or caulking. Thoughts? Backer rod and caulking or canned spray foam if you can tolerate. Links in post on windows. i purchased a large wooden stool/kitchen tower for my toddler from a DIY neighbor. You can see an example, if you google "toddler kitchen tower". It has been painted white with what I think is a mix of spray paint and regular paint. what can I put over it that will seal in toxins/VOCs, and be okay for my toddler to handle prior to handling food? Horribly disappointed now that we own this. great blog. thank you very much for sharing. I bought an antique table and wanna take no chance concerning possible moulds: if ever there were moulds in between 2 wood planks, would a wax (applied on top of floor hemp oil) be sufficient to seal any possible neurotoxin/spore/mould in? thx much in advance. Mould in between 2 planks? That would be an unusual place for mould to grow. Are you talking about the subfloor and the wood flooring? A beeswax no, would not block spores. Sounds like you want your wood to breath. The only kind of wax that I know of that is relatively impermeable is shellac. This is not used on floors though. thank you very much for answering. It's for an antique wood table top: 2 planks had a gap and were not sealed and the table was used in an orphanage for many years. So i worry that some liquid might have spilled repeatedly in the past in between these 2 planks and that maybe molds could have developed there. As it could ruin the table top if I took these 2 planks apart, I would like to properly seal the complete table top and if ever there would be spores in there, be positive that they could not escape from the sealed table top into the air. Do you think carnauba wax (maybe mixed with candelilla wax) could be enough to accomplish that? thank you very much for sharing your knowledge and experience. Those are breathable, they would not seal in mycotoxins. Thank you Corinne. Can I paint over the sealer? Do I seal, prime and paint? Yes you can paint over it. Great blog post! So helpful! I have a basement that takes in water during very rainy springs. Would AFM Safecoat Penetrating Water Stop be a good choice to seal the basement concrete? Others have recommended DryLock, but it seems to be quite toxic. Consult a building science expert on this. Normally you do not seal this on the inside. The source of the water getting in needs to be fixed. I happened upon your site while looking for a low VOC sealant to use on our vinyl kitchen flooring. It is about 21 years old and we don't want to replace it till we sell our home next year. I cleaned it with baking soda and it really did a great job, but my husband says we need to seal it. Do you have any suggestions please? Thank you for any advice you can provide. I am so happy I found your site. For vinyl tile use AFM Hardseal. If you are not sure what type of vinyl it is contact AFM or Building for Health and they will get you the right AFM slealer. Thank you so very much and Happy New Year!!! Do you know of any brands for sealing concrete without the toxic fumes? Hi, Yes there are quite a few concrete sealers. I mentioned a few in this post. It depends on what the application is. Hi, Thank you for sharing all this great info! I'm helping renovate a friends house, and she is very chemically sensitive, so your advice and product listings has been great. In one area there has been rats under the tub, and the subfloor is still smelly from them living there, despite bleach cleaning etc. What waterproof sealant would you recommend to both protect from water splashing in the future, and to seal in smell? Conventional solutions would be RedGuard or Bituthene. Do you know of a low VOC, more natural alternative? We're in a mold-prone area on the west coast. Thank you! Oh my gosh, sounds terrible. I would remove all this subfloor and any area water damaged and smelly. Correct problem of where rats are coming in as well. Do not use bleach on mold or around a sensitive person. Is there a zero VOC product to apply to walls and ceiling to block a perfume smell? This is for a child with extreme chemical sensitive. Thank you! I would like to know as well. I want to get ecos paints but i need to prime first. I see u said ecos primer has mildewcides is there another brand u can recommend? Thank you. It no longer contains a mildewcide. Hello. what is your recommendation for staining a sealing an oak wood kitchen table? What do you know about the harmful effects of mildewcides in paint? Are they good or bad? Hi! Great info :) Thank you so much. Can you recommend a sealant I can use on the inside of bathroom drawers made of particle wood that reek of perfume? Is there a sealer that will seal 15 year old 3 coat oil based polyurethane floor finish on oak to stop from offgassing? The offgassing now is not horrible, but is bothersome to me. Thanks! Hi Corinne, 1) You wrote "For the super sensitive USG Firecode is recommended (it does not contain a flame retardent)." Could I ask why you think this is lower chemical than regular USG sheetrock? 2) Also, do you have an opinion of the safety of https://www.usg.com/content/usgcom/en/products-solutions/products/wallboard/mold-resistant-panels/usg-sheetrock-mold-tough-gypsum-panels.html? I was concerned they might contain an insecticide, but want to use them to reduce mold likelihood. Thanks! I am a painter. Also have chemical sensitivities, so I know a little about toxic products. I would be wary on basing too much on Zero Voc products as that does not mean Zero Toxic. Voc's only mean those chemicals that react to sunlight to create smog/ozone. So the regulations were written with human health Not in mind. There are many exempt chemicals that are very unhealthy to you and me but perfectly fine against the ozone, so they are Zero Voc. "Low odor" products is probably more important than Zero Voc's, but at the end of the day the product needs to be used to see how toxic it really is. I have had lots of problems with Sherwin's Promar 200 Zero Voc. They do not have a zero voc colorant system so depending on the color it will have more odor. I do not recommend Sherwin. Benjamin Moore has a zero voc, low odor colorant system. Their Ben line I believe is the healthiest, great paint, just need to add some water so it brushes like butter. Next healthiest of their's is Natura. I don't use Regal as it has some more odor. Their expensive Aura is an example of having Zero Voc's, but it definitely has a toxic odor. Though it is not extreme like BIN Shellac. I don't know how that got on this list. As it is known to be extremely toxic to people. http://www.earthpaint.net is something to probably list on your site, as they seem to have some of the best and more well known wood finishes. They also have a paint. And a natural mold killing lime primer. Hi Sherwin Williams does have zero VOC colourants. Zero VOC is definitely the best place to start. Going by the ingredients list or even AFMs GAPs does not necessarily lead to to figure out which paint is better for them. How offensive the odour is to you is definitely a good guide I agree. For those really sensitive they will need to know how long it will take for them to not react. Most people have different brand preferences it's not simply how toxic it objectively is. Bin shellac is one of the best sealers for blocking smells but it is hard to tolerate. I recommend pure shellac. I spoke with Sherwin Williams twice in 2018, and they confirmed that ONLY their white paint is VOC-free - As soon as they put in dyes to make a color, it will become a VOC paint again. Then, each color you choose will have a different level of VOCs. So, really, Sherwin Williams' labeling is misleading since it only applies to white, before choosing a color. Hello, very interested in your recommendation for Earthpaint products. I was looking at their Nanotech Floor Finish. It's almost too good to be true! Does anyone have any experience with this product? Sherwin-Williams does have a zero VOC colorant I'm not sure what's going on here baby it is difficult to find in store? Same painter here. Also wanted to share http://www.ecosafetyproducts.com, which has interesting soy paint. And I know the Colorhouse is a pretty decent paint. It is actually made by Dunn Edwards, which you have listed as well. I have a big hunch that it is just relabeled that same zero voc product from Dunn Edwards. A couple more paints you might be interested in: California Paints, they have a zero voc colorant system like Benjamin Moore that won't had toxins with colors like Sherwin will. They have a zero voc offering, but few and far between on tracking down a store. Thanks I will look into those more. I know people would be happy to find the mythic formula. Colorhouse is not zero VOC though. it certainly could be repackaged. I'm not sure which of their paints it would be. Jim- have you ever used AFM safecoat? See below. For my clients a AFM is one of the least well tolerated. I had a problem with one store that sells Benny Moore, with their zero Voc Gennez colorant system, but the store also sold other companies and had universal tints. I was buying Ben Moore paints thinking they were the best, but still having surprising problems with odors. I came to find out the store was not using Benny's Gennex colorants but basic universal tints which added incredible odor. As soon as I switched stores it solved that issue. I learned a lesson for myself that odor does not completely depend on the paint brand, the store which mixes it with their colorant plays its part. I have had that experience with stores as well. AFM paint is the least well-tolerated amongst my clients and people on the Facebook forms for chemical sensitivities. In my experience the best tolerated paints are Mythic and ecos. Also you might be interested in clear top coats I found. The Lumber Seal company also makes a Furniture Seal which sounds like a durable poly. The gentleman from Earthpaint.net said their Easy Finish is the best replacement for polyurethane's. Second best is their Nanotech. They are both more than durable and rated for floors. Their Nanotech can also be tinted to make it a stain and finish. Their Bio Naturals, which has a pine resin, which also can be tinted. That one has a slow dry time so I'm not too interested. Their have a Mountain finish which is made from cashews, but can only be applied with light coats with a rag. That www.ecosafetyproducts.com has nice sounding finishes rated for floors. One is made from soy, a couple others that look healthier than standard polys. They also have stains made with soy, those sound nice, fast drying. Sherwin has been telling me for years that they have a zero voc colorant system but I've had some bad experiences with them sometimes, with strong odors in certain colors. I would like to give them another try and see how Harmony is. I've been so really pleased with Ben from Benny Moore that I haven't bothered trying anyone else for walls in a while. Alright, I've blabbered enough. Yes, I used AFM to test it out. Brushed very nicely, like a regular paint. Though the semi-gloss was too shiny for my taste on trim. They have a softer sheen pearl that I would use on trim. I know a painted who sells and paints with AFM and he really believes in it. If I had to guess, I would say out of the regular paints, they are one of the safest ones out there. I never used the natural oils paint from AFM, so I have no idea on that. One thing I did not like about Mythic/ American Pride was that after storing the paint for awhile it could grow bacteria or mold that made it stink like rotten eggs. I guess that is because of no mildewcides and such. I imagine storing those kinds of paints with the paint cans upside down so more air tight would prevent that. I've been searching lately for more healthier options for tannin sealers. I'm really against the original BIN, even though I know it's the standard. For professional paints, from the same company from BIN, Zinsser, they have "Advanced BIN", a synthetic shellac for stains. I used it successfully on a couple oak cabinet jobs. It has great adhesion and much lower odor than regular BIN. Some say it's hit or miss on blocking stains. There is also Zinsser "Smart Prime"/ "123 Plus" (the same product with different names) that blocks tannin stains well. Another is Kilz Max, some really like it's sanding and tannin blocking. And a new one from them is Kilz Max Clear (not Kilz Clear), which is a clear sealer and listed as low odor and able to block tannins. I really want to try that one. The other 3 have odors of regular latex paint. For safer sealers I found cool soya sealer from Canada. In the States there is another soya sealer I found, more geared to the faux finish market. I am not sure if it could accept stain afterwards like a clear shellac. She said it dries cloudy like an oil varnish. It can be used as a topcoat also, and is exterior grade so suppose to be decently durable. Safe to use inside also. I found another sealer that can be used to seal in tannins, called Lumber Seal. Used on bare wood and acrylic paints. So may possibly be used similar to a clear shellac, but not positive how well it could take stains. Thank you for sharing your experience Jim. There are indeed so many new products to test out. You're welcome. I like to share and learn about healthy products from others. I've had health complication from years of breathing toxic paint, stains and poly's. I would like to see people try to stay away from the worst things. Whenever I need to breath in something with a strong odor, whether oil, shellac or even acrylic/latex, I wear a respirator with multi-purpose cartridges. That is a lifesaver for me. I've never heard anything like this with AFM. Do you think it's related to who does the tinting and If a universal colorant may have been used? No it's the AFM product. That is pretty surprising about AFM. They were supposed to be the earliest of the health minded paints, you would think they would of mastered a safer formula by now. I wonder how Clear Skies from Earthpaint.net would fair with people with chemical sensitivities. It's not zero voc, but zero voc is only regulated for smog/ ozone and not the end all/ be all for healthy paints. It would be interesting if American Pride (Mythic) comes back. I had heard Mythic was bought by a German paint company. I figured to relabel into their own. Mythic was pretty popular in the UK. I had searched and found the Colorhouse equivalent in Dunn Edwards paint. Colorhouse was based off of Everest from Dunn Edwards. Here's the two product data sheets from each company. They are both 100% acrylic, same finish(sheen), same volume solids, the weight solids off a bit, but everything else is the exact same including dry time and coverage. Just thought it was interesting. Dunn Edwards probably updated the formula for their Everest, while not bothering to update the Colorhouse because even though the product data sheets are the same, the msds is different. On HMIS codes, Health is listed as 0 for Everest and 1 for Colorhouse. It's a health scale of 0-4, with 0 being the healthiest. So however Dunn Edwards makes the two, they make their own Everest line a little healthier. And the Colorhouse Primer is the exact same as Ultra Grip Select(find it w google). It's funny to me because Colorhouse acts like a new age hippie company run by a couple of moms who make the paint in their kitchen. It's all in my opinion but the data sheets tell all. Thanks Jim! How does ecos compare in this realm of healthiest paint? You're welcome. I haven't used Ecos. They charge quite a bit, so I hope they would be good to go with their formula. Corinne has good success with it so worth a try. A lot of these paints need to be individually tried out just to see what effects they can have on you. Only so much one can gather from reading the msds or product data sheet on these paints, kinda like reading the tea leaves. Paint companies are able to hide so much from their customers. I have read that paint companies themselves were the ones who originally wrote the regulations for Voc's. Instead of having the government make regulations on making safer paints to people, they wrote the regulation of Voc's to be only to the chemicals that react with sunlight to create smog and effect the ozone. So some toxins can be not so healthy for us, but perfectly fine for the environment, so they are exempt. Ammonia and Acetone are exempt. Sherwin and Behr have a lot of ammonia, probably not Harmony, but I know "zero voc" promar does. Ecos is worth a try. I didn't smell too much from AFM and I have some chemical sensitivities but not as much as others, so they might be worth a try. That Dunn Edwards Spartazero is worth a try. Their msds is extremely clean, but for some reason they don't list titanium dioxide like other companies do, as it is carcinogen(who knows how bad). Any acrylic paints like all these have to have titanium dioxide. Unless they are the mineral paints like Romabio, or a natural paint like Milk Paint. That Clear Skies from Earthpaint might be worth a try. There is also a bio based soy paint called Durasoy that claims to be non-toxic. And Also Ivy Coatings that claims to be as well. There are not many user reviews on these, I have never used, but they claim to be safer. Just some options for you. I'm pretty happy with Ben from Benjamin Moore, has a slight odor but it's fine for me. It's local which is easier for pickup. Do you recommend any product that has no VOC for sealing a finished wood table that is still off gassing? Will a sealer prohibit the table from off gassing? The sealer had to be completely non toxic as I am very chemically sensitive. Thank you!! Forgot to mention - the table i want to seal is an Ashley furniture dinning set. Not sure if those are notoriously toxic or not, as I have not had to buy furniture for a very long time. Perhaps you know?? I have no experience with them, but AFM has Hardseal that is meant to seal in off gassing. And another for mdf called Safeseal. Now they both look like they might have a little odor themselves and I don't know how effective. Ecos Paints looks like they have some "passivating" primers/ paint that seems to try and accomplish the same. I don't think theirs comes in a clear, at least I couldn't find one. They do have a clear in an "air purifying varnish" that supposedly removes toxins in the air. Do not know if those work as intended as well. I don't know if there are any other brands out there that try to do the same. I would call each company and try to talk to a tech to find out just how much odor they have(don't want to add too much more odor when you are trying to get rid of it) and how effective they really are. Could look for reviews online to see what others say about them, if they work properly. hello-- does anyone know if getting a wood bed frame and keeping it unfinished is still irritating? wood does have a strong smell, but it sounds like all of the topcoats have issues with them as well even the linseed, etc. currently i have an organic mattress, but am not sure what to put it on, since i can't get anything that is as pure as the mattress.. thanks! Depends if you are sensitive to wood. You don't have to finish it but putting a sealer on will protect it. Most people can tolerate the natural low odour oils like hemp or the coconut one mentioned. Those won't block the smell of the wood though. Shellac will block some smell and is well tolerated. We're getting our new home painted and I wish we could afford some of the safer, independent paint companies, but sadly we can't. We were given three options by our painter, Behr's Premium Plus Zero, Sherman Williams Promar 200 and Dunn-Edwards Spartazero. Based on the information here, we're debating between Promar and Spartazero. All 3 paints are listed under "with mildewcide" but then Promar is listed under Primers with "no mildecide." Can you clarify? Are they two different products (paint vs. primer) with the same name, one with mildewcide and one without? If Promar has no mildewcide, we'll go with them but if they all do, then maybe we'll try Spartazero thanks to Jim's comments about how they're worth a try and their msds is extremely clean. Any other info or input would be great appreciated! Thank you! Yes last I checked the Promar 200 primer had no mildewcide and the paint did. Just relocated after CIRS diagnosis. I want to remove carpeting in new place but can't get new flooring yet. Would it be a problem to just have the subflooring exposed (2nd floor) without replacing the carpet with another flooring? Also, under the carpet is 40 yr old, glued down, 12 inch tiles of something like vinyl or laminate (think cheap peel and stick, not ceramic tiles), which I have removed in one room. Is there something you would recommend to seal over the tar-ish glue residue? In the other bedrooms would it be better to just leave the tiles and seal them with something or even paint so they're not so ugly? I would leave those vinyl/laminate or linoleum down until you are ready to replace them with something if they are 40 years old and are not bothering you. You can probably pain them but you need to know exactly what it is. Can anyone tell me anything about Core Tech by US Floors? It’s greenguard certified, but I won’t to ensure it is clean and healthy. I think their cork underlayment is very strong even after one year. I haven't tested their vinyl surface. Thanks Corine. This is a new construction. I want to make a healthy choice. We like the look of the CoreTech and it’s in our budget but I want to ensure there are no concerns you know of. It does hold a greenguard certificate. Have you looked at the specs or know anything 59 be concerned about? The samples have no smell...? I have concerns with the underlayment, depends on your level of sensitivities and health. Corinne- we’ve decided to use US floors engineered hardwood Meridan line. What underlayment would you recommend? Looking for healthy and economical. Thank you! you mean the cork off gassing? Would it not be sealed underneath? I suffer from MCS. We want to move to a dream house close to forest, but the beautiful pine wood siding and ceiling in all the house seems to have been stained and varnished with high VOCs products some time ago (what a shame, because a home smells sooo good (and healthy) when beams or siding is left natural or naturally oiled. We visited the house today and it made me feel sick :-( We wish to rent it, so removing all the varnish is out to the question. As such, is there anything at all in the market, any transparent sealer or wax that we could use to cover all the existing siding to BLOCK the vocs. Thank you so much for your precious help!!! Hi by siding I'm assuming you mean interior walls. There are some options in this post for sealing but nothing is a guarantee. Depends on your level of sensitivities, which sealers you can tolerate, if you mind what it looks like, and if putting an interior vapour barrier will cause problems. My name is Melanie by the way, thank you DEARLY! Hi there! I'm 22 and chronically ill with ME/CFS. My husband and I are looking for a solution to our housing problems. I react to EVERYTHING. But we don't have the time or resources to build a home from scratch, but we may be able to finance a tiny home that's already built. Do you recommend Tiny Green Cabins? I've heard so many negative and concerning things about buying pre-built tiny home since they are prone to mold and other toxins. Is Tiny Green Cabins a reputable company in your opinion? I've seen major problems with that company. From time line to budget, to materials done wrong, to mistakes, to ethics. No, that likely won't be enough of a seal. It depends how sensitive you are. Another coat of paint and primer will only help a little. I would see how strong it smells first to see if you should even try and seal that. You will need to test that paints and waxes that seal to make sure they are not worse for you and also know if it can take a interior vapour barrier. That doesn't sound like it will hold up to moisture either. Judd, the issue is that you are using the varnish on your boat, and all water based varnishes are unsuitable for marine applications. Over time there will be degradation in the finish and, after two years, you are now beginning to see this. Corinne, We are using AFM zero voc to paint your whole new house. We used American drywall with greenguard certified and m100 mud from Murrco but the odor is still strong in there. Should the primer and paint take care of these? If you are sensitive to the drywall and Murco I would proceed with extreme caution with AFM paint and primer. It's one of the hardest to tolerate on that list from what I have personally seen. Really? I have painted some on boards testing colors and noted minimal odor.... I want the drywall sealed well and felt the afm primer and zero voc paint would do that well. We haven’t had any “official diagnosis” of chemical sensitivity but my oldest and I definitely are more bothered by odors etc. We have 3 children and they and I have allergies and 2 of us am immune system that isn’t as robust as the rest so our goal is the build the healthiest home we can within our budget. We’ve been told AFM is the best for sealing out vocs etc and I was even going to have the cabinet guy paint cabinets in the ecolaq from afm. Please advise. Thank you!!! Hi Corinne. Great blog post. We have an unfinished solid wood closet made by Lundia. We also have 2 sheets of formaldehyde free poplar being used to build on to the closet/wall area. Would using hemp oil first, then finishing with a beeswax finish be sufficient to seal these? Would these applications make them more mould resistant? Not sure what you mean by formaldehyde free poplar. Hemp oil would need a good amount of time to dry before putting clothes on it. I would not use beeswax in that application. Your closed should not need to be mould proofed. If you live somewhere tropical where you humidity is inevitably really high then you would want to use a rot proof wood. Hi Corrine, I am hoping you can please give me some advice! About 2.5 years ago, we had a new window and 2 large sliding glass door units installed. This was retrofit, not new construction. This took place during the summer. The odor was very minimal. HOWEVER, the following summer and this previous one, in only one room with one of the new sliding door units, the smell became unbearable. The smell was very noticeable during the late afternoon when the afternoon sun is beating down on the unit. It is a very chemical like smell. I am 99.99% sure it is the caulking used...when I smell under the wood molding where the carpet and sliding door meet, I smell that odor. I am thinking I should cover up this caulking to seal it up. In one of your above posts, you suggest a shellac. What do you think? Which product would you advise to paint over the caulk to seal in the odor? Thank you in advance!!! That is a little complex. I would want to know why it did not offgas the first summer. I would want to test all products before use and know what is in there so you know exactly what it is and how it is getting through. I would want to be sure it is not the window material itself. Once you know where it is and how it is coming through you can look to ways to seal this. But you have to also be careful here that you are not trapping moisture. THANK you so much for your response! Your questions are good. I don't know why it didn't smell that first summer. We are really at a loss of what to do other that replacing the entire door. Thanks again. I prefer ECOs which does have a preservative that is somewhat of a mildewcide. It's still people's top choice. Now Certified as a Building Biologist! Theme images by andynwt. Powered by Blogger.